Canadian rapper and, he insists, singer Drake has claimed that he is the first artist to be able to both rap and sing successfully. That might provoke a great deal of dissent, not least from Drake’s arch-enemy Chris Brown, but he stands by the assertion. Speaking to that ultra-hip music magazine the Jewish Chronicle, Drake explained his reasoning. "There were people who incorporated melody before me, but I would deem myself the first person to successfully rap and sing," he said. Is he crazy? Does he not remember Debbie Harry on Rapture? Actually scrub that, her rap was quite embarrassing. 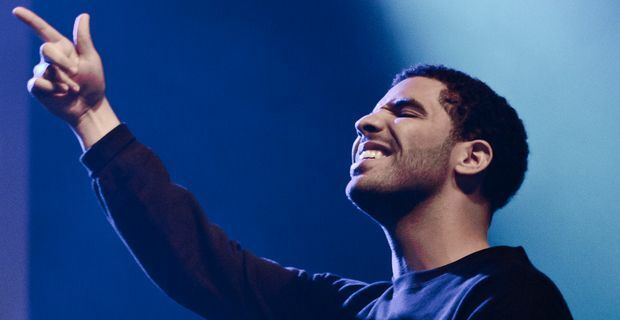 Drake is an artist with a finely-developed sense of his own importance. He sets himself apart from other rap stars, who, he implies, are constructed characters. "I'm one of the few artists who gets to be himself every day," he said. "It doesn't take me six hours to get ready and I don't have to wake up in the morning and remember to act like this or talk like this. I just have to be me. That's one of the favourite parts of my life - I've done this purely by being myself." Drake’s beef with Chris Brown inevitably involved Rihanna. Both rappers had relationships with her. Brown’s attempts to send a conciliatory bottle of champagne to Drake’s table at a nightclub recently was rebuffed by the Canadian. The scene got ugly. Drake isn’t quite ready to settle down into a sedate suburban lifestyle just yet. "I'm 25 and single," he said. "I'm not supposed to care about deeper things right now, I'm supposed to be wild. But there are nights when you sit back and wonder, 'Damn, is this right?"